Click on the banner to see Presentation about us. LLC (Limited Liability Company) «Brain Development» since 2012 has been comprehensively developing the project ROBOTRACK. 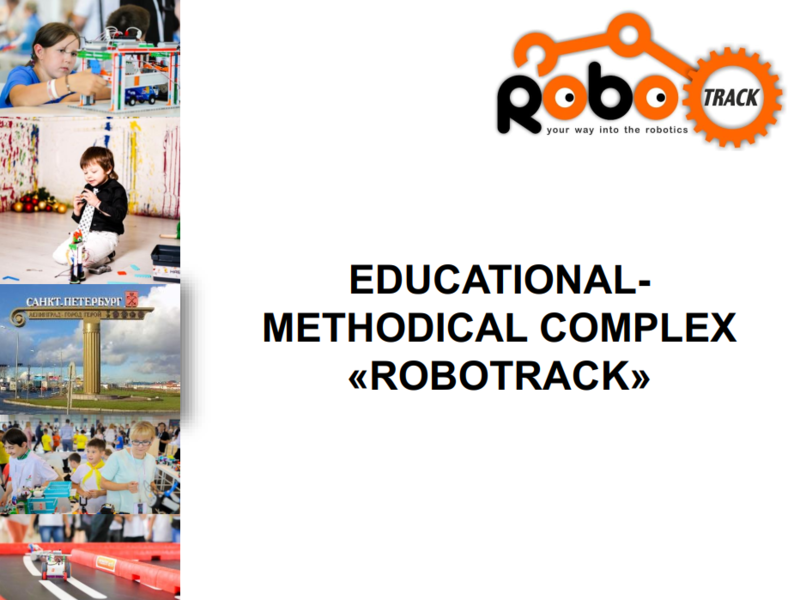 ROBOTRACK is a Russian developments in the educational robotics and neurotechnology (robotics system ROBOTRACK, NEUROTRACK, VIDERETRACK), methods of teaching robotics to children with HIA. 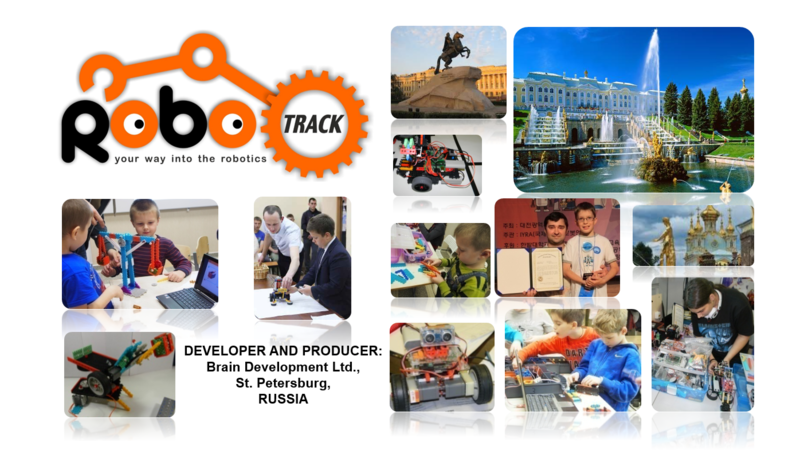 ROBOTRACK is also represented by more than 100 licensed robotics clubs for children in Russia and Kazakhstan, opened as franchise, as well as over 40 000 children studying in state and non-state educational institutions. ROBOTRACK is in charge of organizing Russian robotics festival “DETAL’KA” for children. Furthermore, it’s an authorized official of International Children’s Robotics Association IYRA and international competitions IYRC in Russia and CIS. 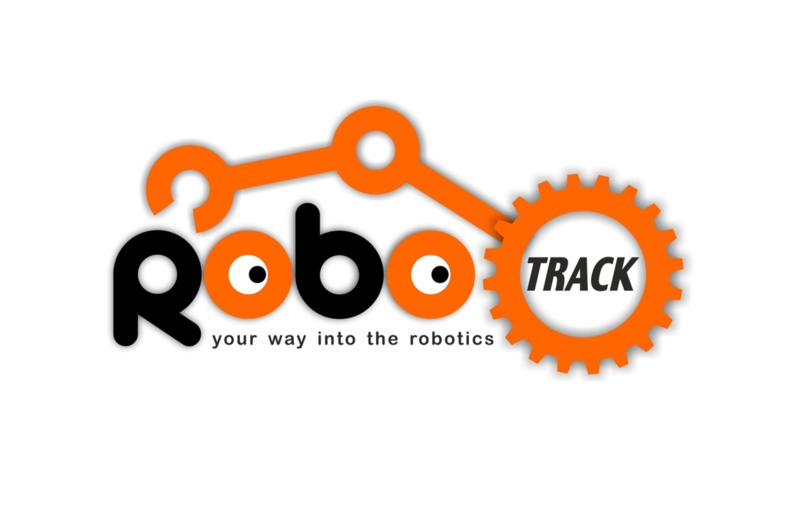 ROBOTRACK is a community of russian engineers and IT specialists, methodologists, teachers, neurophysiologists and social businesses whose goal is creation of educational equipment, educational programs in the field of robotics and neurophysiology in order to prepare children for new professions that according to roadmap of NTI will be in demand at new markets. 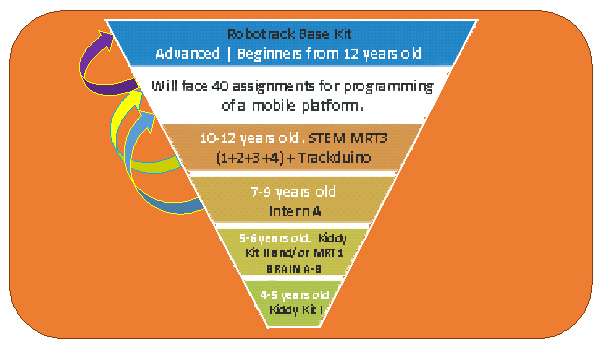 Currently, more than 40 000 Russian and Kazakhstan children are being trained according to the developed methods in the extensive network of children’s clubs “ROBOTRACK” and at state educational institutions. 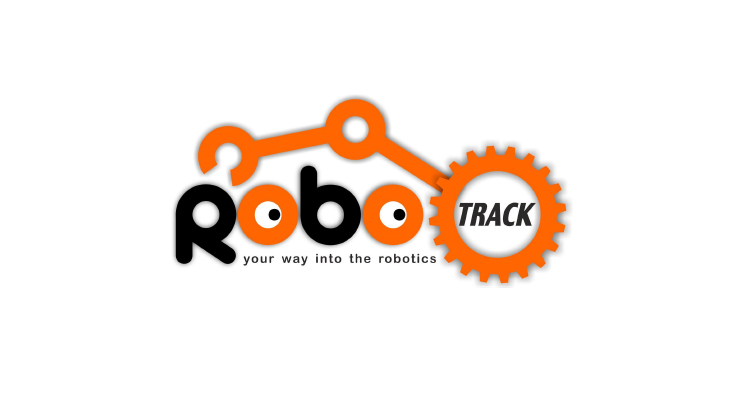 ROBOTRACK clubs (in total 104 clubs) were created by social entrepreneurs on the franchise and are located in more than 40 cities in Russia and in 7 cities in Kazakhstan. clarification for each lesson – 50 pcs. The peculiarity of the project is development and implementation of unique educational and methodological kits, arranged according to the children’s age, with a focus on continuity of teaching the basics of educational robotics. 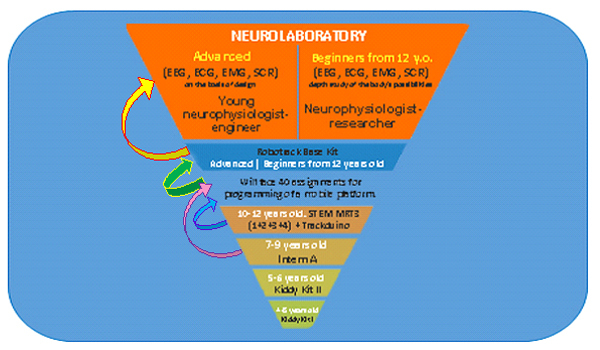 All academic and methodological complexes are developed in accordance with the Federal State Educational Standards, including methods for an inclusive environment for children with sensory impairments (children with amblyopia, heterotrophy, impaired vision) and for children with mental development disorder. Academic and methodological complex for inclusive education is designed for children from 5 to 8 years old and, above all, is aimed at socializing children with HIA. Academic and methodological complex is designed for children aged 4,5 – 16 years old. This complex allows implementing programs, where metasubject and personal results of learning are achieved, to acquire rudiment of physics, mathematics, computer studies, allowing to integrate theoretical knowledge with practical skills. In addition, this complex gives knowledge and develops skills that enhance success of children’s education and early career guidance, primarily directed to engineering specialties. The formation of engineering thinking cannot be achieved at once, it’s a multistage ongoing process, the integration of modern pedagogical and technical technologies which will form engineers for the state innovative economy in the future. Such integration presupposes a symbiosis of robotics and pedagogy, since according to the leading experts in the field of the instrument making industry, education and industrial processes, it’s necessary to already develop such form of thinking already at an early age, starting with the simplest construction and modeling. This forms the spatial intelligence, logic, ingenious thinking and technical creativity from the preschool age and till HEI. It is necessary to form scientific and technical thinking gradually, keeping it at a basic level and then leading to specialized training, developing and accompanying further to obtaining professional skills already with professional training. Scientific-technical thinking has to be formed step by step, starting from a basic level and ending by obtaining proficiency with the apprentice training. The “Brain Development” company is the organizer of the all-Russian robotics and educational neurotechnologies Children’s Festival “DETAL’KA”. The annual robotics festival-marathon for preschool children and junior schoolchildren “DETAL’KA” is held within the framework of international cooperation in the field of educational robotics development with the International Youth Robot Association (IYRA), furthermore the festival is the all-Russian stage of the International Youth Robotic Competition IYRC (IYRA includes more than 15 countries of the Asian and Pacific Region, IYRC is an alternative to the European Robotic Olympiad). “DETAL’KA” is aimed at the formation of scientific-technical and engineering thinking and is oriented towards the future on stimulating and motivating today’s school- and preschool-age children to choose technic oriented professions. In 2015, the festival “DETAL’KA” was included in the Collection “Practical guide for holding a complex of patriotic celebrations of the Victory in the Great Patriotic War 1941-1945”, issued by the Ministry of Education and Science of the Russian Federation. Robotics competitions “DETAL’KA” are conducted with the support of Russian Academy of Education, the Institute of Mathematics, Informatics and Natural Sciences of Moscow State Pedagogical University, the Association of Strategic Initiatives, the Agency of Innovation Development, the Association of the ART Industry and the network of ROBOTRACK centers, which comprises of more than 100 points all over Russia and Kazakhstan. “DETAL’KA” gathered more than 300 people in 2016. In 2017 400 children from 40 Russian and Kazakhstan cities took part in the Festival: from Moscow and St. Petersburg, Kaluga and Bryansk, Penza and Tula, Novorossiysk and Novosibirsk, Petropavlovsk-Kamchatsky, Vladivostok, Samara, Berezovsky, Ufa and Bakal (Chelyabinsk region), Omsk and Sevastopol, Stavropol, Abinsk, Naberezhnye Chelny, Kursk, Togliatti, cities in Yakutia, Rostov-on-Don, Astrakhan, Irkutsk, Krasnoyarsk, Nizhny Novgorod, etc. Until 2017 the festival was organized mainly for preschool and primary school children, but this year the age range has expanded and the contestants are also students of both middle and senior school age. In earlier times, pre-schoolers and junior schoolchildren (up to 11 years) have taken part. children under 7 years – 15%. 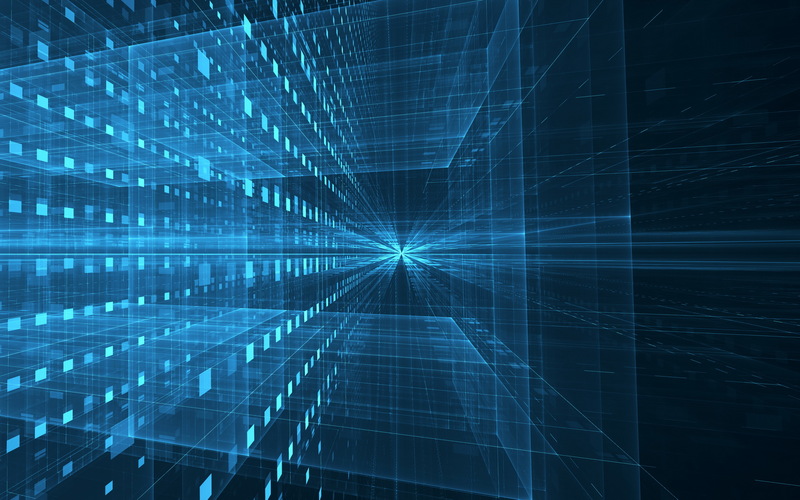 Thus, it can be said that the project will allow to develop such necessary qualities of a modern professional as the ability to communicate and cooperate, model analysis and design skills, to lay the foundations of scientific-technical thinking, which is important to the technosphere specialists at the current stage of society development. Join the development of robotics and neurotechnologies! Give your children profession, that will be in demand in the future, even today!